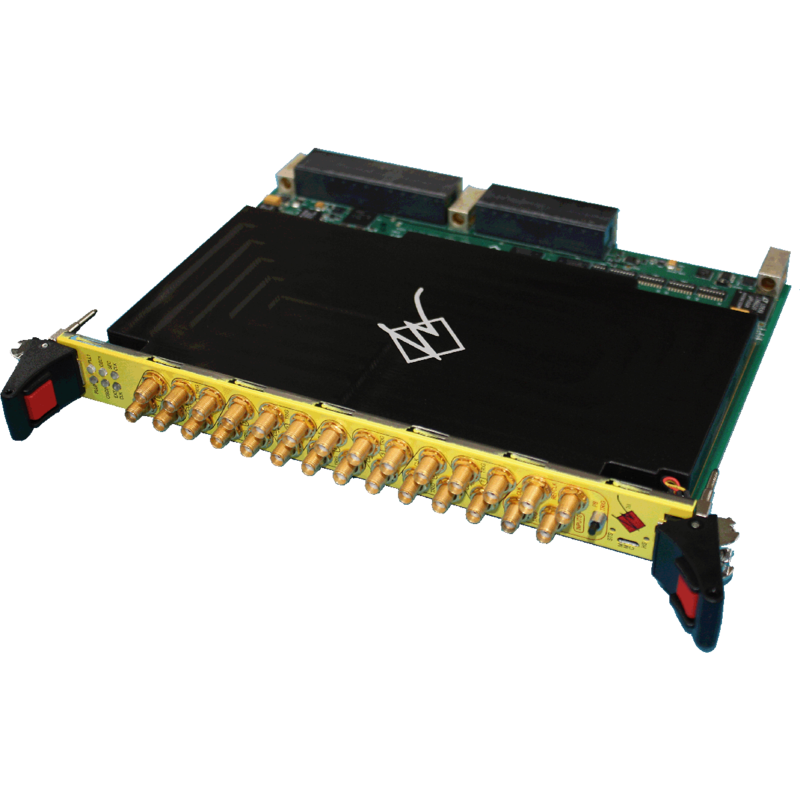 The WILDSTAR 8+8 Channel OpenVPX Clock Distribution Boards high-speed, low-jitter outputs are ideal for distributing a common clock and synchronized control signal to multiple cards in a system. 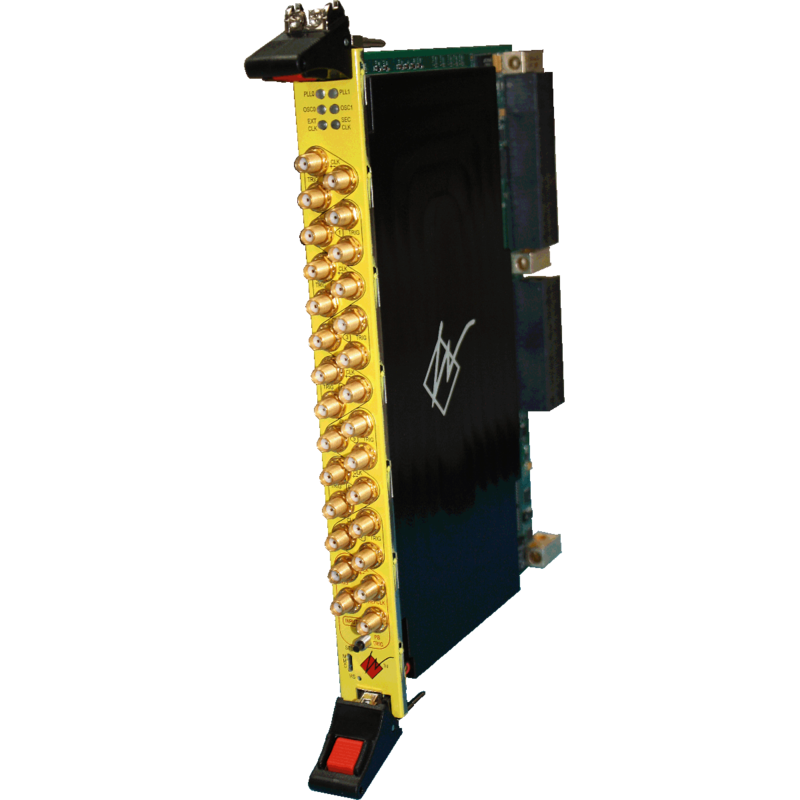 The control signal is used as a trigger to synchronize data capture on several types of A/D and D/A I/O cards available from Annapolis Micro Systems, Inc.
Single-ended or differential clock inputs from an external source can be sent into the WILDSTAR 8+8 Channel OpenVPX Clock Distribution Board and forwarded to other loads via the front panel connectors. Two on-board clock sources can generate clock signals and distribute them to other cards via the front panel connectors. The four control trigger outputs can originate from an external source, be generated by a manual pushbutton on the distribution board front panel, or sourced via the optional P2 serial port. These trigger outputs are synchronized to the distributed clock to provide guaranteed output timing relationships.